Registration for our 2017 Summer Tech Camps is now open in Danville & Saratoga! Our other locations will be available on Jan 15, 2017 . You can scroll down to the locations you are interested in and view the courses that are available this summer. Copyright © 2001-2017 Vision Tech Camps. All Rights Reserved. Calling all aspiring video producers or YouTubers to join this camp to create your own video shows, vlogs or game reviews. In this camp, you will develop ideas for your production, produce the pilot episode, create your own video channel and learn how to market your video for building an audience and subscribers. You will start with familiarizing yourself with the pre-production process, resources need, story creation and objectives. Then dive straight into creating content for your video and learn how to edit using Adobe Premiere. At the end of the week, you will go home with your video, YouTube channel and know how to market, promote and build an audience for your masterful creation. Learn the programming language that built Minecraft and Twitter! Get a head start on your high school AP Computer Science class or exam by learning the Java programming language at Vision Tech Camps. Java is a great introductory computer programming language for getting young coders to learn programming and basic programming paradigms. In this camp, students will start with the basics of Java programming, progressing to more advanced topics such as Methods, Object Oriented Programming, Classes, Algorithms, and Data Structures. Campers will go beyond the fundamentals of Java programming by designing and developing applications such as games, programming robots, and many other fun projects using Java in an Integrated Development Environment, or IDE. At the end of the week, students will take home their source code and finished projects on a flash drive. Are you interested in learning the fundamentals of programming? Python is a great introductory course for learning to program. Its simplicity allows new programmers to focus on learning fundamental programming concepts, instead of having to deal with language syntax issues common to many other languages. Python is a popular choice for building many applications by tech leaders like Instagram, Google, and YouTube. 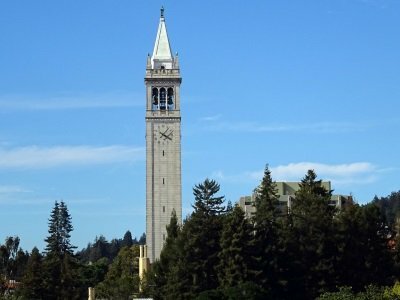 This week-long camp is a great course to get an introduction to computer science and programming using Python. Vision Tech’s Python coding camp gives a solid introduction to programming, using Python as the preferred vehicle for beginners. This course will teach you all the essentials you need to dive into the world of software programming. Using Python Web Framework (Flask), HTML, and CSS you will learn to write real code while learning to develop web applications. You will learn about functions, classes, variables, loops, data structures, and conditional structures. At the end of the week, you will take home all your code and projects on a flash drive. Get the hang of coding with the Python programming language, a highly readable language supporting multiple paradigms that makes it ideal for students to learn programming in. Python is considered a high level programming language that runs on many operating systems, which is ideal for aspiring programmers hoping to dabble in game design. Using Pygame and Object Oriented Programming, students will learn to write real code for their own game – designed and developed by them. While learning to develop their games, students will learn the basics of programming – creating loops, conditional structures, and variables – as well as game design concepts such as collision detection and artificial intelligence. Students will also learn how to add music, sounds, graphics, and animations to their game while developing their coding skills to a professional level. At the end of the week, students will take home all of their games and code projects on a flash drive. 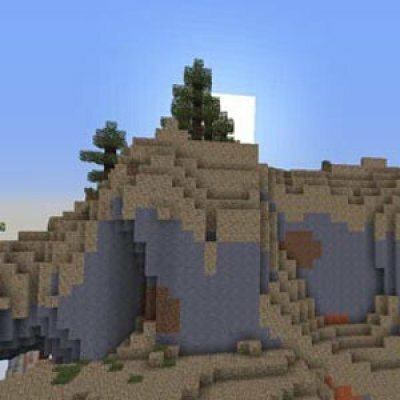 Dig deeper into the Minecraft with this minecraft modding camp! Design vehicles to traverse across the world in seconds, build your own custom weapons for players to craft, and manipulate gravity to trap your foes. In this Minecraft coding camp, students will learn how to reverse engineer and decompile the game of Minecraft in order to add your own flair to the game! Students will not only learn how to add levels and characters to the game, but will learn to modify the actual code of Minecraft, and create new enchantments, items, blocks, and more. You will work with the world-renowned Eclipse IDE, the tool of choice for Java Programmers, in order to learn the ins and outs of the code of Minecraft mods. 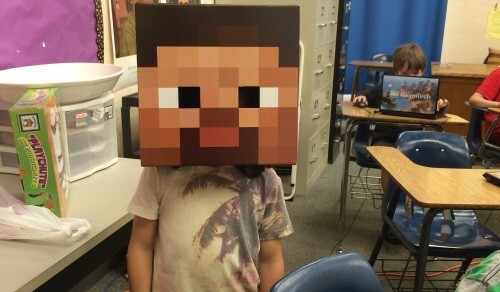 This Minecraft mod camp does not require a Minecraft account, though students may use their own account if they prefer. At the end of the week take your mods and worlds on a flash drive to continue working at home. In our most popular Minecraft camp, campers learn Minecraft level design while they learn to build adventure maps, engineer with redstone. Kids will even learn a touch of coding with command blocks in the game of Minecraft. 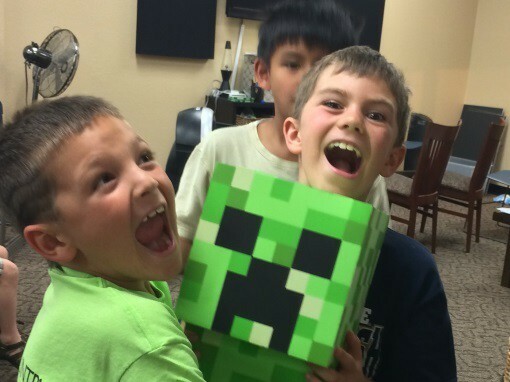 This camp is the perfect blend of learning and fun for Minecraft lovers. In this Minecraft camp, kids will learn to hone their skills at game design and level design while creating redstone structures, custom maps and adventures. Using MCEdit, students will create incredible buildings, cities, and worlds within Minecraft and tie them all together with mods, skins, characters, and stories. Once campers have mastered learning how to add maps and characters to the game, they will also learn how to install multiple mods, and create a few of their own in order to customize the Minecraft world. After their Minecraft world is complete, students will take home their completed maps, mods, and skins to use at home. Minecraft accounts will be provided during the duration of camp for students who do not have one, though students who already own a Minecraft account may use their own. 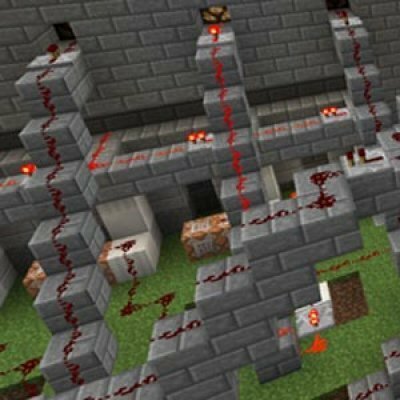 Go beyond basic Minecraft and learn to build custom maps, write command blocks, add redstone structures, and create resource packs to enhance the Minecraft playing experience. Join this camp to explore the creative and building aspects of the world of Minecraft. Use your creativity and imagination to create maps complete with amazing cities and caverns for your friends to explore. Write a story for your own Minecraft level, and place enemies and unbreakable walls where you please. Create your own unique characters for your levels, and let your friends win or lose at your discretion! Students learn game design concepts such as game world design, storyboarding, gameplay, and modeling. 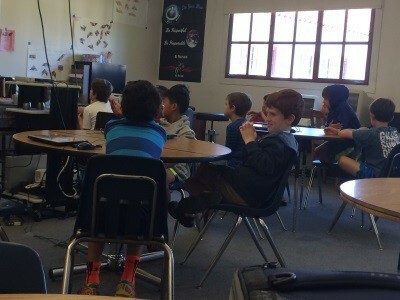 Minecraft accounts will be provided during the class for students who do not have one, though students who already own a Minecraft account may use their own. Students will take home their completed Minecraft worlds and files. Join the next video gaming phenomenon of Virtual Reality (VR) in video games – a fully immersive, and interactive experience made possible by the HTC Vive and Unreal Engine 4, the industry-standard engine developed by Epic Games. Using Unreal Engine, you will learn to develop environments that will complement the Virtual Reality experience. You will create models, textures, terrain, and more, all while understanding how Virtual Reality affects those components. Using the Unreal Blueprint Visual Scripting system, you will learn to rapidly develop game logic with the easy to use programming system. Using the Blueprint system, you can experience the roles of programmer, game designer, and technical artists within a single system. You will also learn to design levels using Unreal’s level editing tools that will complement the VR experience. At the end of the week, students will take home their impressive VR-enabled games, project files, and art assets on a portfolio on their flash drive. Note: To continue using the VR segments of their games at home, students will need a VR headset at home. The HTC Vive, a virtual reality headset developed by HTC and Valve, the creators of Steam, allows players to completely immerse themselves a new experience that makes you feel like you are actually in the game. Start designing a professional level video game at Vision Tech using the powerful Unreal Engine 4 (UE4) , developed by Epic Games. Start by creating the concept of your video game, and progress to modeling and texturing of the terrain while learning industry-standard techniques to producing professional quality levels to dazzle your friends. Start the first day learning to use Autodesk Maya to build your own 3D models using the most advanced software available. You will then learn to import these models into Unreal Engine to utilize them in your own game. You will also learn to use the powerful UE4 Blueprint Visual Scripting System to customize your game logic and character behavior while learning about programming. You will get the opportunity to choose from different genres of video games, including First Person Shooters (FPS’s), Racing Games, Platform Games, and Flight Simulators. You will use Unreal’s award winning level development tools to create and design your game levels, and populate them with lighting, particle effects, and game objects. At the end of the week, you will take home your completed games, project files, and art assets home on a flash drive. Ever aspire to join the ranks of mobile game designers? In this game design camp, you will learn to create a mobile video game that will work on your phone or tablet – whether its an iPhone, iPad, or Android! After a quick introduction to using the touch screen interface, you will dive into creating games using Stencyl, a game creation platform. Using Stencyl’s four primary editors, you will create and edit the game’s code and game logic, create and develop tiles and levels for your game, and have your characters interact with their setting, including behaviors and physics. In order to install these mobile games to your phone or tablet, your device must be officially supported, updated to the latest software, and you must bring your device to class during camp. At the end of week, you will take home your .stencyl files on a flash drive, along with your completed games on your phone or tablet. In this robotics engineering camp, campers will start off learning engineering, problem solving, and programming skills. Using the VEX Robotics Design System, students will build robots, participate in engineering challenges, and work both on their own and in groups. Students will gain hands-on experience by learning to design their robots, program in ROBOTC, and participating in virtual and real world challenges. Vision Tech’s VEX Robotics curriculum guides students through the robotics build and competition process so that kids can experience the joy and fun of robotics while learning programming and engineering concepts. 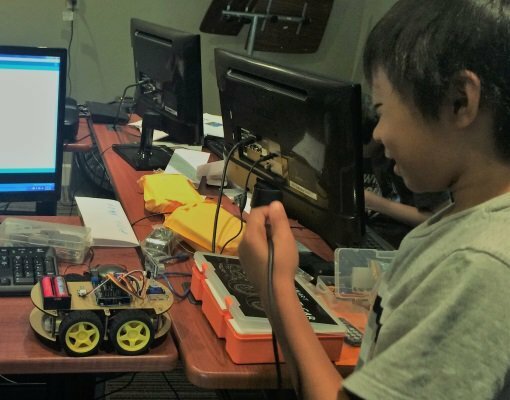 VEX is an ideal platform for students to explore important STEM fundamentals and computer science concepts, and as such, students will engage in a series of fun challenges that put their skills to the test. At the end of the week, students will take home videos and pictures of their robots, as well as their completed programs. Ever wanted your own custom computer? In this camp, you will have the chance to not only learn about computers, but at the same time, learn how to configure, set up, build, and learn about cybersecurity and take home your very own custom-built desktop! You will have the opportunity to customize your PC case, choose from multiple configurations, and learn about the functionality of components including the hard drive, RAM, CPU, video card, and more. Building a custom computer is fun, affordable, and empowering. If you’re looking for a great gaming computer, a computer for school, or a computer to video edit on, and at the same time want to learn about how a PC is built, how to install its components, and how to upgrade it in the future, install an operating system, and antivirus software, configure and connect to the internet, this is the camp for you. This camp is also great to learn about cybersecurity and networking, and students will learn about how best to protect their new computer from viruses and malware. At the end of the week, students will take home their new custom built computer, and an understanding of how to upgrade their computer in the future. The field of robotics is a fun way to introduce children to mechanical engineering and computer programming. The world of robotics is a great STEM tool for students to bridge the gap between computer science and engineering. Join Vision Tech Camps’ LEGO Robotics camp to take part in an incredible learning experience in robotics engineering. You will design and build robots using the LEGO Mindstorms EV3 system, the third generation robotics kit in the LEGO Mindstorms line, and use the easy and intuitive EV3 visual programming interface to get your introduction to programming. You will learn to incorporate motors, sensors, and the LEGO EV3 brick to build and design robots that can walk, talk, think, and do anything you can imagine. Using the EV3 programming platform, you will program your robot to navigate multiple challenges to complete tasks. You will also use extra EV3 sensors to enhance your robotics adventures. The field of robotics engineering is a fun way to introduce children to mechanical engineering and computer programming. The world of robotics is a great STEM tool for students to bridge the gap between computer science and engineering. Join Vision Tech Camps’ LEGO Robotics camp to take part in an incredible learning experience in robotics engineering. You will design and build robots using the LEGO Mindstorms EV3 system, the third generation robotics kit in the LEGO Mindstorms line, and use the easy and intuitive EV3 visual programming interface to get your introduction to programming. You will learn to incorporate motors, sensors, and the LEGO Mindstorms EV3 brick to build and design robots that can walk, talk, think, and do anything you can imagine. Dive into programming and engineering using the Arduino microcontroller. This Arduino engineering camp is great for someone interested in learning to code and has a keen interest in electrical engineering. You will design your own electrical circuits and sensors, and learn about programming them using the Arduino Integrated Development Environment (IDE). You will then learn how to take your circuits to the next level by building an Arduino vehicle from a provided kit and the Arduino microcontroller. You will add distance sensors and infrared reflectance sensors to your robot so your robot can sense its environment, and participate in fun challenges. Using the Arduino IDE, you will use the C and C++ programming languages, along with Arduino’s supplied software library, you will write programs to perform multiple projects, and have your robot navigate its surroundings. At the end of the week, you will take home your Arduino robot, your Arduino kit, and your completed projects and files. Using professional-grade 3D Printers and Autodesk 123D modeling software, campers will explore the latest industrial design process for prototyping, research, and building solutions. 3D printing allows for rapid and easy prototyping of any creative object that researchers, professionals, and engineers want to test out in the real world. Campers will be posed with a series of challenges that will challenge their creativity. Using Computer Automated Design (CAD) and industrial design processes, students will design a solution from scratch, 3D model it, and proceed to test their idea, and refine it through multiple iterations. When students are satisfied with their design, they will learn to 3D Print it, and will watch in wonder as the object is created before their own eyes, layer by layer. At the end of the week, students will take home their files and 3D printed objects. Get established as a young game designer by joining our RPG (Role Playing Game) Video Game Design camp to build games in the vein of Pokemon and Final Fantasy. Combine your imagination and creativity to customize every aspect of the game and impress your friends with your own RPG masterpiece. You will use the RPG Maker game development tools to build tile based maps, scripted events, levels, quests, items, and characters. Campers may choose to use our vast pre-built library of characters and audio, or may choose to design and create their own. RPG’s, or Role Playing Games, are wide, open-world based games where the player takes their time to explore cities full of people and merchants. In a role-playing game, the player takes control of a group of characters, and takes them through an epic adventure, usually involving an end-boss with megalomaniacal intentions. Throughout the game, the player takes their characters through the levels, gaining experience through battles in order to face their journey. In this game design camp, students will go through the process of designing such a game. They will create their own dungeons, choose where to place treasure, enemies, and bosses, and can choose to animate and voice act their adventures. They will design their own epic adventure, along with their own final boss at the end. At the end of this game design camp, students will take their games home, to share with their friends and family. Use the Sparkfun Photon Redboard, an over-the-air-programmable WiFi development board to explore the world of computer programming and electrical engineering. You will learn to design, build, and program your own circuits, and control them using your PC, iPhone, or Android device. This camp is a great introduction to software development and hardware integration. You will learn to get your projects hooked up to the internet, and have them respond to commands and programs executed online. You will build multiple projects that will get you working as a software developer, electrical engineer, and test them against real world challenges. Using the Particle Build and Particle Dev IDE, you will program your circuits and projects using the C and C++ programming languages. At the end of the week, you will take home your Sparkfun kit, and your completed projects and files. To use the iPhone and Android apps, your device must be up to date, and officially supported. If you ever wanted to build your own customized version of Minecraft filled with your favorite mods like Galacticraft, Tinker’s Construct, and Power Suits, then this is the camp for you. In this camp, you will build a Minecraft modpack, a fun way to expand the world of Minecraft using a combination of both your own mods and other, famous mods, and get your feet wet learning Java programming. To build one, students will select their favorite Minecraft mods, and learn to combine them into a single unified Minecraft experience. You will create your own mods using Minecraft Forge and mix them with other mods by adding advanced weaponry, magic, and electricity. You will then learn how to publish and share your modpack, so you can access your modpack from home or with friends. At the end of the week, you will take your modpack project folder home, as well as a link to the published version of your modpack. Minecraft accounts will be provided during the duration of camp for students who do not have one, though students who already own a Minecraft account may use their own. In Vision Tech’s Robotics Engineering camp, kids will use the LEGO WeDo Robotics Kit to build LEGO models with motors and sensors, and program their creations using the WeDo visual drag-and drop software. Kids will gain a strong understanding of programming concepts while having fun using the familiar LEGO components. From the first day on, kids will start building their LEGO models like planes, boats, and rescue mechanisms, and then write programs to have their LEGO robots move and respond to their programs and sensors. This camp engages children in hands-on technology experiments that focus on science, mathematics, social studies, and language concepts, using the STEM (Science, Technology, Engineering and Mathematics) concept. It allows young kids to start exploring simple robotics concepts at an early age in a fun and easy way. The drag-and-drop icon-based software provides an intuitive and easy-to-use programming environment suitable for beginners and experienced users alike. No prior experience in programming or robotics is necessary. At the end of the week, campers will take home photos of the robots they created. In Vision Tech’s Adventures in Programming Camp, kids will take an adventurous journey to learn programming and coding using the world famous Scratch visual programming language, a project developed by the MIT Media Lab. The Scratch programming language is a great stepping stone to learning how to program using its drag and drop event driven programming. Using Scratch, students will learn how to manipulate active objects, known as sprites, using either pre-rendered graphics or drawing their own art. The visual programming system allows kids to visually comprehend their program instructions as they watch their graphics move and animate as kids program them. Even though this camp is a programming camp, this course is highly interactive and allows students to have lots of fun while learning programming in a creatively flexible environment. At the end of the week, students will take home their completed projects and art so they can continue working at home. Minecraft is a great game, but it is even better when you make all the rules! Ever wanted to moderate the game of Minecraft while playing with your friends? Then this is the camp for you, because at VisionTech, we take Minecraft seriously! 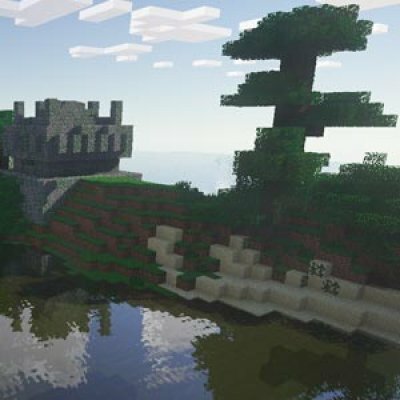 You will design a secure, safe, and private cloud server where anyone you allow can join from all over the world, complete with an epic lobby, castles, airships, and anything you want in your Minecraft server! You will learn how to use the most advanced plugins to protect your server from griefers, as well as create safe zones to prevent your “friends” from breaking the structures you worked hard to build! Learn to troubleshoot any complications with routers, modems, or ISP’s in order to let as many friends as you want join from wherever they are in the world! Add as many mods as you want, to customize Minecraft to your liking, whether you want a fantasy themed server with magic, or a technological server where players launch EMP’s at each other’s electronics! At the completion of this camp, you will be crowned the King/Server Admin of your own Minecraft world! Minecraft accounts will be provided during the duration of camp for students who do not have one, though students who already own a Minecraft account may use their own. Get $100 off all camps for today! Subscribe to our newsletter and receive a code for $100 off all camps!